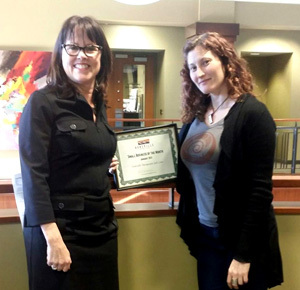 We are pleased to recognize Asheville Salt Cave as our Small Business of the Month. Founded in 2012 by the Appel family, the Asheville Salt Cave is built from salt imported from Poland and maintained in a carefully controlled environment that keeps the cave sustainable and growing - replicating a natural environment. Sessions in the salt cave promote relaxation and stress reduction; and salt therapy that can be beneficial in treating respiratory ailments, skin problems, digestive issues and more. The Asheville Salt Cave began from Neal Appel's personal experience. After just one visit to a salt cave in Virginia he did not need to use a rescue inhaler to treat his asthma for two weeks. Neal felt he needed to share that alternative healing with others. After three years of research, the Appel family were able to open the Asheville Salt Cave. "We are most proud of the manner in which locals and tourists alike have embraced the cave and are able to enjoy themselves, relax,and remove everyday stresses," says Jodie Appel. "Not only have we opened a business accepted in Asheville but we have seen steady growth since our doors opened." "Our business is a family business," Jodie says. "My Dad (Neal) had owned his own pharmacies, my Mom had owned her own decorating and imprinting business, I had owned my own massage business, my brother who helps with our PR has owned his own company for more than 20 years and my sister, who is our graphic designer, has owned her own business for 15 years. All together, as a family we understand the challenges and rewards of owning small businesses to serve the community in which we are located." Asheville Salt Cave carries that commitment to community in a variety of ways such as hosting a holiday open house with short massage and cave sessions, special prices for locals on Tuesdays, supporting Brother Wolf and other area businesses and offering a military discount. What's next? "We are looking for warehouse space so we can get our online store up and running with a full line of products."